For the last couple of years the Solomon Islands have been know for the underground location for the surfing scene. With its rich natural habitat, pristine waves, and surf exploration it's no wonder way surfers are ranting on and on. The best surfing locations with a good waves are found in the north coast of the islands, Malaita, Isabel and Makria. These islands contain long period ground swells that pulse consistently from the North Pacific. These swells are ones to hit the more famously known North shore of Hawaii and days later break on the alluring coral reef passes. The Solomon island coast are prime location areas with little tourist and uncommon hotel resorts. The Lau Lagoon found in North Malaita contains more than a dozen breaks, most of them world class right and left handers. Solomons typical wave sizes differ from 3 to 5 feet but can at times be bigger. Like every other place in the world that has surfing there can be flat days which can better be spent fishing, snorkeling, or just for a quick dip in the water. Depending on the waves and breaks, the waves are best suited for surfers from the intermediate to advanced, and short to long board breaks can be found as well. 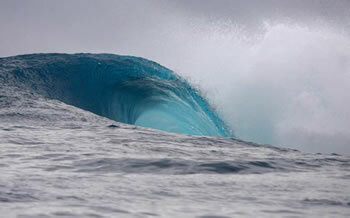 Waves found on the South coasts of Guadalcanal and Titiana rely mainly on Coral Sea to provide swell. Local hotels around Gizo offer surf transfers. Come summer the amazing conditions offer clean groundswells being more on coming than wind swells which can ensure the lines of your surf to be more evenly spaced. With there being a plethora of activities for adventurous travellers, you have all day to spend weeks travelling and almost even forget all about the great surfing conditions. Of course local knowledge is required for the surfers. Getting in to arrive on the right tides and swell direction, also well to judge the right places to ride out and pull off on the breaks. This is prime location for any surfer if you have the patience, jump on in and explore!